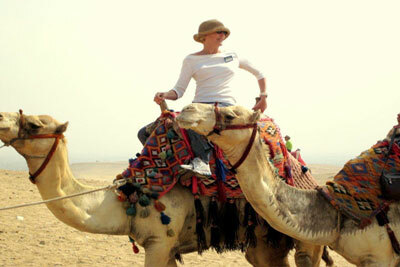 Is Egypt Safe for Tourists To visit? Yes. The truth about Egypt is that its recent restlessness is more about internal domestic issues and about a proud and awakened people yearning for freedom and dignity. That's what the Egyptian Revolution in January 2011 was all about, and the country continues to make its way toward this goal. 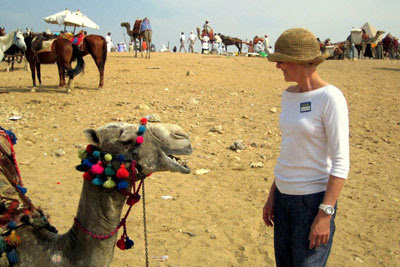 Ordinary Egyptians all over the country warmly welcome foreign tourists, especially Americans, and they are always incredibly happy to see them returning. foreign media continue to perpetuate the myth that Egypt is unsafe for foreign tourists, and they love to play old clips of rallies and demonstrations in one tiny square in one city of Egypt from specific days every time a story on Egypt is reported. The funny thing to those is actually on the ground in Egypt every month is that we see these same news reports and stories on TV from , then look out the window and see life on the streets of Cairo going on as normal - calmly and peacefully. Those who can see past the facade and who are willing to come visit Egypt are always surprised to find out how amazing the experience is, even now, and the fact that tourism is depressed generally across the region means that it's the perfect time to come see this country without the congestion and crowds that you normally see at Egypt's world-famous sites and monuments. with Egyptraveluxe Tours get your private Tour and enjoy exploring at your own pace .